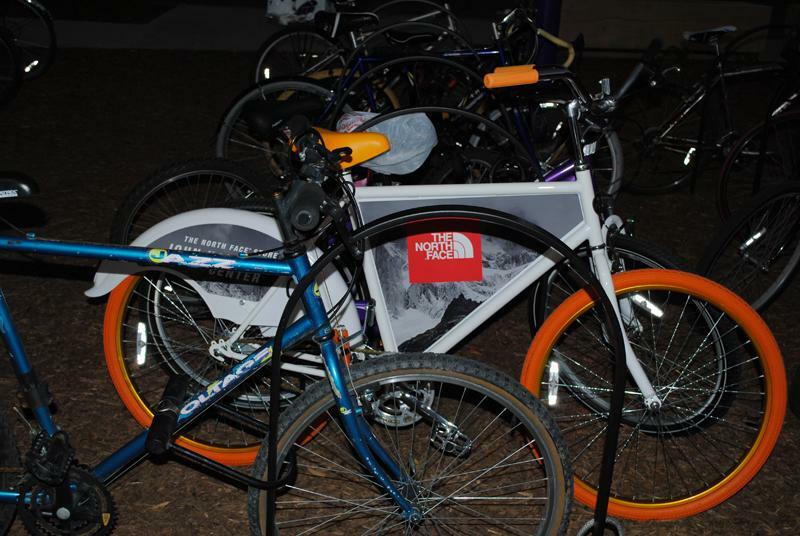 Bikes featuring The North Face ads have been loaned to Northwestern students this quarter. A Los Angeles-based startup company that leases bikes to students for free has also established a presence at other schools around the country. A California-based startup that loans bikes for free to college students has established its presence at Northwestern. SESP sophomore Connor Regan, a former Daily columnist, is directing the NU business operations of the FreeBike Project, which covers operational costs through advertising fees paid monthly by businesses that want their brand established on the bikes. The project currently has 20 bikes, distinguished by their upraised cruiser bars and framed advertisements for clothing store The North Face, at NU. Twelve of the 20 have been leased, while the remaining bikes are on a waiting list. The two Danish co-founders of the business established their concept of marketing brands through a free-lease bike system at the University of Southern California as students. Since then, the bikes have also occupied universities in bigger cities, including San Francisco, Boston and Washington, D.C.
FreeBike Project co-founder Johan Bender said The North Face agreeing to be a sponsor for advertisements on the bikes was one reason the project decided to establish a presence in Chicago. To lease a bike, students must make a $130 deposit, which is reimbursed after they return the bike and post pictures of the bikes on social media. In mid-September, Bender asked Regan to promote the for-profit business after hearing of him through Facebook. In addition to leasing out the bikes at NU, Regan is researching Chicago-area universities whose students may be receptive to the idea of a free-lease bike program. Bikes emblazoned with The North Face ads also came to DePaul University, although Regan said he was not involved in that area of business expansion. The free-lease bikes may be shipped to Loyola University Chicago and University of Chicago next, Regan said. Amy Krenzke, manager of Evanston’s The North Face store, 1600 Sherman Ave., said she thinks the business concept is a good marketing opportunity for the corporation and hopes the bikes can be used to advertise her store specifically. “As we can get more bikes set down here and get more partnerships established with more businesses in the area, we’re going to be continuing to expand,” Regan said. Tags: Amy Krenzke, Boston, Connor Regan, FreeBike Project, Johan Bender, North Face, San Francisco, University of Southern California, Washington D.C.